Customer Service is one of those things that might sound easy on paper, but can sometimes be a lot more difficult to remember or implement effectively when you're interacting with your customer in person (or over the phone). Following are five recommendations that Shear Madness Haircuts for Kids (an award winning kids hair salon franchise system) has learned over the many years that we've served thousands of customers with a smile and the help they not only deserve - but have come to expect! 1. It's important to have the right information at hand! When interacting with a customer, the right information can make a big difference in the kind of interaction you might have with them. Wrong or unclear information might cause someone to leave with a feeling of annoyance, exasperation or that they just didn't get the solution they were wanting - which could cause them to look elsewhere. So make sure that your business has a great system in place that keeps track of relevant customer data. For example, let's say a customer contacts your business wanting to know about a service they received from a couple of weeks ago. If you're unable to quickly look up this information, or the employee who assisted them, the lack of details could lead to potential confusion over what they're asking for. 2. Treat your customers like people! We've often seen very sterile communications with customers, which is laden with in-house terminology, number or letter sequences (for products) and sentences that seem like they're spoken by a robot. Or, I'm sure we've all had that employee who acts about as bored as can be when you call them up to ask a question, or take absolutely forever to give you the answer you're looking for. This all leads to a feeling that the customer is either just another number in some machine, or isn't really that important. So make sure that you're relating to your customers in ways that help them to feel valued and intelligent, and use language that is friendly and not too technical. One trick that might help is to actually smile when speaking to someone, whether in a face-to-face discussion or on the phone. It's a lot harder to convey an attitude of boredom or annoyance when you're smiling. 3. Acknowledge customer concerns. This can be a tough one, as no-one likes to feel like they're in the hot seat. However, make sure that when you're assisting an upset customer that you listen carefully to their concern, and promise to make it right (as much as is feasibly possible). It's also important to utilize positive language over negative language when interacting with your customers. For example, negative language might be the use of "I can't or won't do that right now", or "This is not our fault". Positive language would be, "Thank you for bringing this concern to our attention. I would be happy to help fix this issue for you!" 4. Help customers with the ability to help themselves. Sometimes it can be frustrating for customers if they're looking for an answer that they know should be easily available online, but instead have to spend the time to contact someone at your business. It's a good idea to have a website where customers can find this information, and publicize it on social media or in your advertising so that they know this is where many of their questions could be answered. For example, a business website should include store hours, locations, services provided (with helpful descriptions) and perhaps even a frequently asked questions. Another great thing about a website is that it can communicate through photographs or videos, which can be very helpful for your customer in understanding more about what your business offers! 5. Be thankful to you customers. As noted earlier, customers love to feel appreciated and valued. One way to do this is write thank you notes after a customer makes a purchase, or have customer appreciation days with fun give aways and snacks. You might also consider utilizing the blog on your website or social media to highlight positive customer feedback, good customer questions or photographs of customers in your store (with their permission of course). A lot of people complain about faceless mega-corporations that seem to regard them as just a number. So be sure to bring a personal touch to help your business stand out! 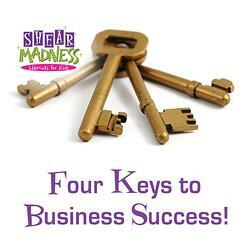 4 Keys to Business Success! While running your own business can be a difficult challenge, it can also be one of the most rewarding experiences that life has to offer! Not only does it take being able to understand market demands, but it also means having a viable small business plan (a process and product in place) that will support the business, as well as provide an income for the owner. While many potential business owners may have a great idea for a business, business growth and long-term success requires being able to be focused, disciplined and at times - an out-of-the-box thinker! Below are 4 keys that can help your business or franchise location build success. 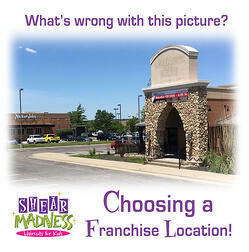 Location - You might have the most amazing concept for a business or franchise, but if it's located in the wrong area - it's just not going to work. Or, it might not work as well as it could in a more ideal area. So be sure to do your research in finding out which areas in your community are most ideally suited for your concept. For example, if it's a business that is geared more towards children, look at the demographics of how many young families are in a particular area. Likewise, if it's a concept that's more for retired people, you'll want to find an area where there are a lot of retirees who might be interested in what it is that you're offering. Additional considerations might be trying to gauge how much people might have in "disposable income" in a particular area. A community that doesn't have a lot of extra money to spend may not be interested in spending money on whatever it is that you have to sell. Marketing - It almost goes without saying that one of the key components of any successfully run business is the strength of their marketing strategies. Marketing is what helps bring customers through your door, and can be accomplished through everything from more traditional methods (like print ads, handing out flyers at parades, using coupons, and word of mouth marketing) to more modern methods (like social media marketing, blogging, and running an effective, up-to-date website). Many business owners might also find success in working within the community through a local charity effort, as more and more customers are finding value in businesses who sincerely engage in some kind of non-partisan efforts to help better the community around them. Attitude - The attitude, or "feeling" that your business gives a customer can largely be helped or hindered by the attitude of your employees. Good employees who are also happy are more willing to help customers, as well as be more loyal and engaged in doing a good job for their employer. On the flip side, employees who are generally unhappy or have bad attitudes about their work are more likely to pass this feeling on to customers. So it's important to make sure that your employees have good attitudes, and to try to help facilitate the positive atmosphere at your work place by giving awards for good work performance, hosting a holiday party, having a clean breakroom and restrooms for employees to use, and maybe offering employee discounts for services that your business offers. 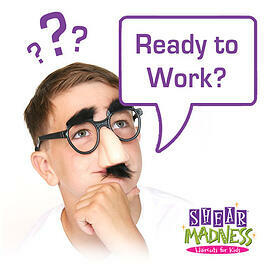 Management - An important consideration when running your business is the strength of your manager or management team. While you may not be able to be physically at your business at all times, it's still important to be aware of what's going on through your managers. A great manager is able to share with you what's going on, as well as help maintain a great atmosphere for employees and customers alike. For example, managers can help you know the attitudes of employees, whether they are showing up for work, and if they're taking overly long breaks. You'll also want to keep close attention on the possibility of an employee who might be "dipping into the till" through the careful monitoring of receipts, record-keeping software, or even video monitoring equipment. If any of these areas are a problem, be sure to address them quickly either through meeting with the employee in question, issuing a warning, or possibly even a professionally conducted dismissal from the business. Most franchisors will tell you that the biggest variable in any franchise system is the owner operator. 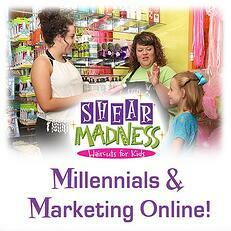 Take Shear Madness Haircuts for Kids as an example. The store was opened by Paula Thurman in 1997. Since then, Paula has run the concept in many different economic environments, all kinds of weather and all kinds of major events. Through it all, the store has made money! But the bottom line is it still took hard work and perseverance. From moving the location three times to, to staffing the store properly, to delivering the kind of customer service that all small businesses need to deliver. This brings me right back to the question I get asked in regards to how much money can be made at running a franchise. 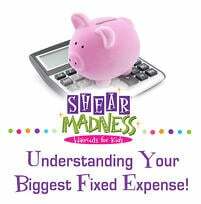 I'm not trying to over simplify this in any way or tell you that any one concept or system is perfect - including ours at Shear Madness. What I am trying to tell you is that regardless of the franchise you select, it's going to take a lot of hard work, a lot of perseverance, and maybe a little luck to succeed! So the answer to the question of “how much money can I make” always begins with the owner and operator of the business. Unfortunately, franchising is not a failsafe business model, and it will still rely on the concept, location, marketing and many other variables for the business to succeed and prosper. But the most important factor is the owner operator, and that could be why your franchise is not making money! 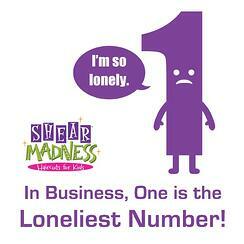 In Business, One is the Loneliest Number! When starting a new business by yourself, sometimes it might seem like doing your own research and going at it alone is the most attractive option. But ultimately, this might not be a good idea. Not only could you possibly be doing the wrong research and making investments that might not be financially profitable over the long run, but you just might not have all the necessary information at your fingertips that can help ensure business success! You've probably heard the phrase, “You don’t know what you don’t know”. Well, once when I was out of work I went to a job fair for a major pharmaceutical company. There were perhaps around 200 people in the room, and the meeting started off something like this, “all of you who have experience in the pharmaceutical industry get on this side of the room, and everyone else stay where you are.” Needless to say, I never interviewed that day. You see, that company knew there was no substitute for experience, no substitute for having "been there, done that”, and no substitute for having to start all over training someone to learn the pharmaceutical industry. Let me offer you a solution. Let me tell you about a way to shorten your learning curve, save yourself all that research, stop yourself from making mistakes that someone else already made, and thinking that you know how things work when you really might not. It’s called Franchising. You see, someone else has already made all those mistakes that you are about ready to make. Someone else has done all that research. Someone else had those same wrong thoughts that you think will work, but they really don’t! That same someone, or group of someones will teach you how to succeed at a much faster rate. Why? Because they have already “been there and done that”. Put another way, by going alone - how long will it take, how much money will you spend, and how many mistakes will you make before your business must close it's doors or succeed? Don’t get me wrong, there are a few rare people out there who can start a business from scratch, and lo and behold it succeeds. Biz Stone, the Co-Founder of twitter is one of those. He says that, “timing, perseverance and ten years of trying will make you an overnight success”. But why would you do that when you can “pay” for a system that works and gets your business up and running at a much faster rate? That's why one is the loneliest number in business! You are either going to be in business by yourself, or you're going to have the support, systems and people to guide you. At the end of the day, what side of the room do you want to be on? Creating an exciting email newsletter can be an affordable and easy way to communicate with your customers on a regular basis. And if done right, it's also a great way to build trust, generate excitement, and potentially encourage customers to frequently utilize the services your business provides. However, if an email newsletter isn't done properly, it might end up being an annoyance to your customer. So what do you do? Before you begin creating that Newsletter make sure you have included the following 4 "Musts" in your process! 1. Understanding Your Newsletter: Before you spend a lot of time creating an email newsletter, it's a good idea to develop a strategy on what you'd like to accomplish with a newsletter. For example: Is it to grow sales? Are you wanting to let people know about upcoming events? Would you like to build brand awareness through the marketing content you'd like to use? You'll also want to figure out how often you'd like to send out a newsletter. Once every two weeks? Once a month? Four times a year? 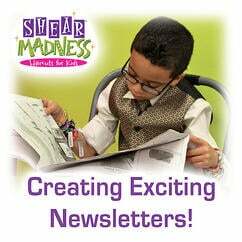 For example, at Shear Madness Haircuts for Kids, we've developed our newsletter to communicate the fun energy surrounding our brand, as well as share about upcoming events being held at their local Shear Madness. We also have chosen to send out our newsletter once a month, so that we don't inundate our customers with too much marketing. 2. Utilizing Creative Email Subject Lines: Try to give your customers an incentive to immediately open the e-mail, and see what they might be missing out on. If you need a little help, try to look at what influences you to open emails. Sometimes asking a question in an email subject line might prompt curiosity, such as, "What's Our Big Secret? See our Newsletter!". Other times, using exciting language might be a good option. Something like, "Wow! Our Newsletter is RED-HOT!" Make sure that your subject line isn't too long that it all can't be seen when scanning through email subjects. 3. Delivering Educational Content: It's important when writing a newsletter to utilize a little creative marketing when coming up with fun and educational content. This will give your subscribers a reason to come back to your newsletter each time you send it out. While you'll certainly want to share about what your business is doing in regards to upcoming sales and special events, don't overwhelm with too much sales-related information. As for the fun or educational content that you'll want to include in your newsletter, some ideas might include a funny joke, an inspiring personal testimony from a customer, a silly photograph of something going on in your store, a link to a children's color page, or a fun craft and nice recipe. Be creative! 4. Utilize Great Design: If you're really wanting to develop a newsletter that engages your customers, you'll also want to be sure to utilize some great graphic design. Develop a nice looking newsletter header that possibly includes your logo, the name of the newsletter featured prominently, and an attractive header background that could change with holidays or different seasons. Within the newsletter itself, use graphics and photos (sized for web usage) to draw attention to the various sections within a newsletter. And lastly, be sure to stick with standard fonts in your newsletter - don't use anything too crazy. And if you must use different colored fonts, go with a theme for each newsletter and stick with around two easy to see colors that are used for standout text.